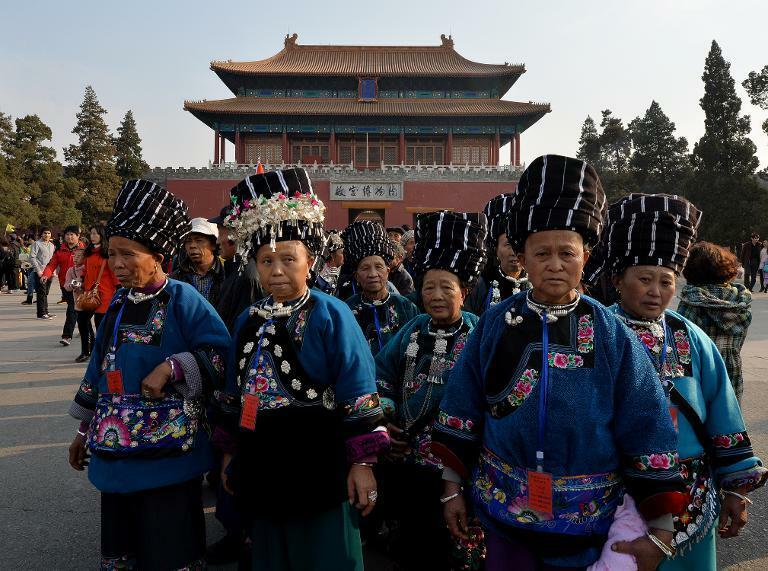 Marching in dragon dances, cheering on buffalo fights, singing folk songs with villagers, an enamoured traveller ticked off the sights during a three-week tour of Chinese ethnic minority festivals. The man -- who flew across the country to southwestern Guizhou province to see the colourful traditions -- represents both the benefits and downsides of ethnic minority tourism. "Their culture is a bit more backward, but it's because it's backward that they have this simplicity," said the traveller, surnamed He, in between recounting local customs and complimenting Miao women in embroidered outfits and towering silver headdresses. Visitors like him are fuelling a domestic Chinese tourism boom that is bringing money to poorer ethnic minority regions and propping up their fading traditions, but that can also encourage commercialism and stereotyping. He, in his 40s and from northern China, acknowledged that a flood of tourism in other minority areas had doused their authentic feel. "For those of us who have come to Guizhou early on, and experienced its simplicity, I really don't know if these traditional ways will exist a few years from now," he lamented. 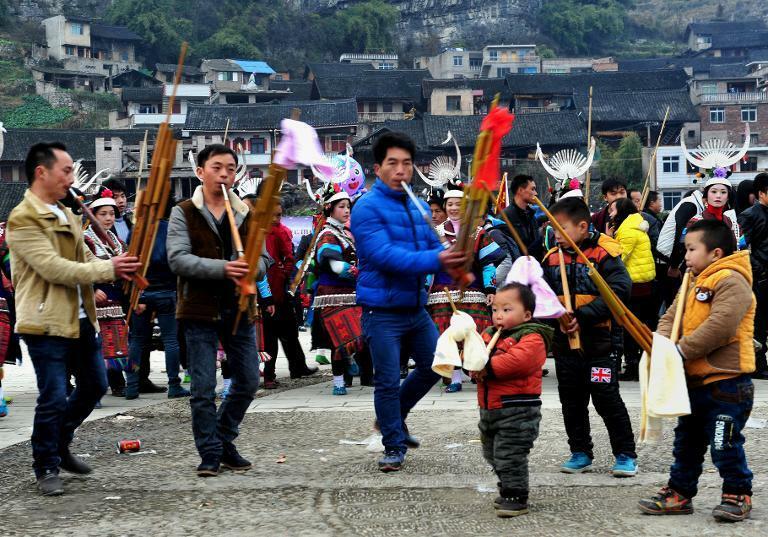 A third of residents of Guizhou, one of China's poorest provinces, are members of one or other of the country's 55 recognised ethnic minorities, and He was watching a major Miao festival in the township of Zhouxi. Women with flowers pinned to sweeping hairdos and ribbons draping from waist to floor swayed in sync, as men blared bagpipe-like melodies from long reed pipes. Nearby stood racks of ethnic costumes for visitors to dress up in for photographs. Wang Ahua, a 39-year-old dressmaker who cannot write, said she had enjoyed a rise in demand for her costumes, with prices now topping 10,000 yuan ($1,600). Visitors did not look down on her and were "very happy, very polite", she said. "It's good that they come." Chinese domestic tourism expanded 10 percent last year, with Chinese logging 3.3 billion trips within their country, generating 2.6 trillion yuan. Authorities have promoted the sector, along with ethnic tourism, both to generate income and to promote China's image of happy diversity. Although 92 percent ethnic Han, China offers minorities preferential policies and encourages them to appear in TV performances and political events in traditional dress. In past decades, Guizhou and its minorities suffered heavily from the Communist imposition of collective farming and the chaos of Mao Zedong's Cultural Revolution, but it is now seeking to tap its ethnic riches -- its income from tourism rose 30 percent in 2012 to 186 billion yuan, just over a quarter of its economy. Tour companies operating in the province offer an array of ethnic sights: women in elaborate silver jewellery, wooden homes, batik, operas and a water festival. The visitors bring benefits such as better roads and a chance to make money, said Jenny Chio, an anthropologist at Emory University who has researched tourism in Guizhou. But they can also turn quiet villages into crowded theme parks -- a criticism of popular spots Lijiang and Shangri-La in neighbouring Yunnan province -- and pressure locals to conform to stereotypes. "If a place becomes a tourism destination, the people who live there are kind of frozen in time" to maintain the "fantasy bubble that tourists want to see", said Chio. To truly reap economic rewards, minorities needed to be seen instead as educated and modern, said Reza Hasmath, an expert on ethnicity in China at Oxford University. "China's not moving beyond this sort of, 'let's get to know the minority', to 'let's try to integrate the minority'," he said. "We need to get to that stage to suggest that minorities can be very accomplished individuals, that they are hard working, that they are skilled, that they should be employed." Intermarriage, an indicator of trust among ethnic groups, was estimated in China to be only one percent of minorities, he pointed out. Tensions have run particularly high with Tibetans and Uighurs, who have carried out periodic self-immolations and knife attacks in response to what critics say is cultural repression by Beijing. 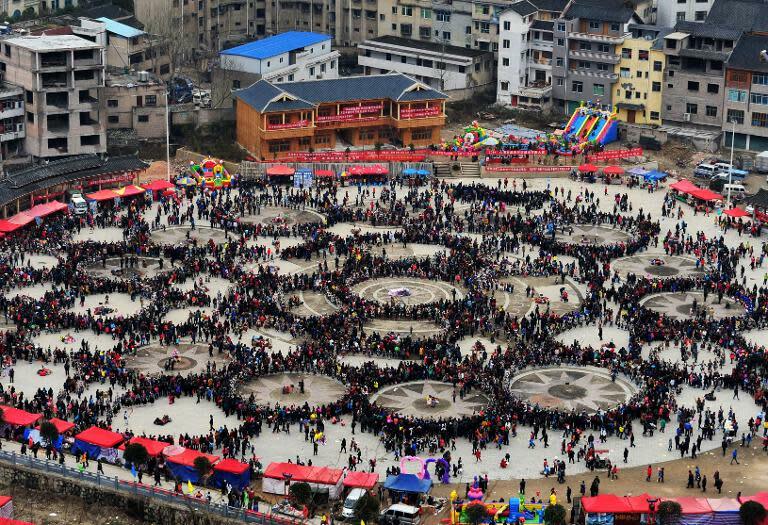 Residents of Zhouxi, which built a plaza for festival shows a few years ago, said the influx of tourists was improving ties between ethnic groups. A mural on the road to the township shows cartoon versions of Guizhou's ethnic traditions -- men beating drums and fighting buffaloes. "It's good to let other Chinese friends get to know our culture," said Ceng Mingwu, a 21-year-old Zhouxi native and Miao dancer. "Our economy has developed, and we're getting a bit of publicity," he said. But 46-year-old resident Wang Zejun worried that Zhouxi could fall into the same commercial tailspin as a nearby village, Xijiang. Five years ago Xijiang barely had vehicle access but prices had shot up and performers were now hired professionals from outside, he complained. Locals there could only find jobs as cleaners and many in Zhouxi had left Guizhou for work, he said, adding that his children, ages 18 and 20, lived 940 kilometres (590 miles) away. "There's nothing to see," he said of Xijiang. "The food is expensive and fake, and there's nothing good there."